Ukraine has great investment capacity. Ukraine entered into, and continues to enter into, multilateral and bilateral investment treaties with foreign states. Moreover, national legislation provides for national treatment and a number of guarantees for foreign investments. At the same time, notwithstanding the existence of an extensive system of legislative acts, there is no integrated and coordinated system of investment legislation in Ukraine. Therefore, the formation of a regulatory framework in relation to investment continues. Ukraine it trying to recover from unstable political and social situation caused by the occupation and annexation of Crimea, as well as military activity and temporary occupation of certain territories in the Donetsk and Lugansk regions that negatively affected investment activities in the country. According to the report of the State Statistics Service of Ukraine for the period of January to July 2018, the main sectors for foreign direct investment included the industrial sector (33.4 per cent) (wherein the process industry constitutes 25.4 per cent), finance and insurance (11.5 per cent), wholesale and retail trade, automotive (15.5 per cent), immoveable property transactions (12 per cent), professional, scientific and technical activity (6.8 per cent), and information and telecommunications (6.7 per cent). According to the report of the State Statistics Service of Ukraine, as of 1 April 2018, the inflow of foreign direct investment in Ukraine is US$40,779.5 million and the outflow of direct investment from Ukraine is US$6,564.8 million. There is no specific legislative act governing investment agreements with Ukraine or Ukrainian state-owned entities. Such agreements are regulated by different laws. In particular, relations in the sphere of public-private partnership are governed by the Law of Ukraine On Public-Private Partnership (No. 2404-VI, dated 1 July 2010, as amended). Public-private partnership in Ukraine is conducted in the form of cooperation under the contract between the investor and Ukraine, the Autonomous Republic of Crimea or relevant state and local authorities in relation to the objects in state or municipal ownership or ownership of the Autonomous Republic of Crimea. The public-private partnership may take place in any form (any type of contract) except for production-sharing contracts. The type of contract to be concluded shall be determined by the state authority that adopts the decision on the public-private partnership. Production-sharing contracts are regulated by the Law of Ukraine On Production-Sharing Contracts (No. 1039-XIV, dated 14 September 1999, as amended). Under the production-sharing contract, the investor agrees during the agreed period of time to perform exploration, prospection and mining in the defined area at its own expense and risk with subsequent compensation of expenses and payments of remuneration. The state undertakes to ensure issuance to investors approvals, quotas, special permits and licences, documents certifying the right to use land and other approvals, permits, licences related to the exploitation of subsoil resources, works, construction of buildings, envisaged in the production-sharing contracts. Such documents are issued in accordance with Ukrainian legislation for the period of the production-sharing contract. In accordance with article 22 of the Law of Ukraine On the Regime of Foreign Investing (No. 93/96-BP, dated 19 March 1996, as amended), business activities of foreign investors related to the use of state- or municipality-owned objects transferred to the concession of a foreign investor shall be conducted under the concession agreement. Such agreements are governed by the Law of Ukraine On Concessions (No. 997-XIV, dated 16 July 1999, as amended), the Law of Ukraine On Peculiarities of Lease or Concession of Objects of State-Owned Fuel and Energy Complexes (No. 3687-VI, dated 8 July 2011, as amended), the Law of Ukraine On Peculiarities of Lease or Concession of Objects of Centralised Water Supply, Heating Supply and Water Draining being in Municipal Property (No. 2624-VI, dated 21 October 2010, as amended) and others. Ukrainian legislation also includes specific regulation on the management of state-owned entities, which may affect the procedure for conclusion of the investment agreements with such entities, for example, the Law of Ukraine On Managing Objects that are in State Ownership (No. 185-V, dated 21 September 2006). On 18 January 2018, the Ukrainian Parliament adopted the new Law of Ukraine On the Privatisation of State and Municipal Property (No. 2269-VIII), which simplified the privatisation process making it more transparent. This law sets out a clear privatisation procedure, allows sale and purchase agreements to be governed by English law and disputes to be submitted for resolution by international arbitral tribunals. Ukraine has effective bilateral investment treaties with the following states: Albania, Argentina, Armenia, Austria, Azerbaijan, Belarus, Bosnia and Herzegovina, Brunei, Bulgaria, Canada, Chile, China, Croatia, Cuba, Czech Republic, Denmark, Egypt, Estonia, Finland, France, Georgia, Germany, Greece, Hungary, India, Indonesia, Iran, Israel, Japan, Jordan, Kazakhstan, Korea, Kuwait, Latvia, Lebanon, Libya, Lithuania, Macedonia, Moldova, Mongolia, Montenegro (as a successor of Federal Republic of Yugoslavia), Morocco, the Netherlands, Panama, Poland, Portugal, Russia, San Marino, Saudi Arabia, Singapore, Slovakia, Slovenia, Spain, Sweden, Switzerland, Syria, Tajikistan, Turkey, Turkmenistan, the United Arab Emirates, the United Kingdom, the United States, Uzbekistan and Vietnam. According to the information obtained from the Ministry of Foreign Affairs, bilateral investment treaties signed with the following states have not become effective or lost their effect: Belgium and Luxembourg, the Democratic Republic of Congo, Equatorial Guinea, Gambia, Italy, Kyrgyzstan, Oman, Qatar, Romania, and Yemen. Ukraine is currently negotiating bilateral investment treaties with Algeria, Bahrain, Malaysia, Mexico, Nigeria and Sri Lanka. Ukraine is a party to the Energy Charter Treaty (ECT). Ukraine has also entered into the investment treaty with the Organization of the Petroleum Exporting Countries (OPEC) Fund for International Development on 26 May 2017. This treaty was ratified by the Ukrainian Parliament on 5 December 2017 and entered into force on 27 June 2018. On 19 May 2018, the Presidential Decree On Termination of Effect for Ukraine of Certain International Treaties Concluded within the Framework of the Commonwealth of Independent States was published. A list of international treaties covered by this Decree has not yet been published. According to the Denmark BIT, it may be extended to the territories of the Faroe Islands and Greenland if the contracting parties so agree separately. There is no information that such an application was agreed between the states. According to the UK BIT, it may be extended to the territories for whose international relations the government of the United Kingdom are responsible as may be agreed between the contracting parties in an Exchange of Notes. There is no information that such an application was agreed between the states. According to the BIT with the Netherlands, it shall apply to the part of the Netherlands in Europe, to the Netherlands Antilles and to Aruba unless the notification that the procedures required for entering of the treaty into force has been complied with provides otherwise. Respective notifications are not publicly available. In addition, the territory of the Netherlands shall include the territory under its sovereignty and the sea and submarine areas over which it exercises, in conformity with international law, sovereignty and sovereign rights of jurisdiction. According to the BIT with France, it shall apply to the territory of France including its sea area, meaning economic zone and continental shelf. There are no other specific indications as to the territorial application of the mentioned BITs in the texts of the BITs. Information on the application of the Energy Charter Treaty is available at the official website of the Energy Charter Treaty at: www.energycharter.org. On 20 January 2010, the Ukrainian Parliament ratified an additional protocol to the BIT between Ukraine and the Czech Republic, signed on 16 September 2008. On 4 October 2017, the Ukrainian Parliament ratified an additional protocol to the bilateral investment treaty between Ukraine and Croatia, signed on 21 November 2016. Ukraine has also signed and ratified the Amendment to the Trade-related Provisions of the Energy Charter Treaty that entered into force on 21 January 2010. Ukraine has never unilaterally terminated any investment treaty. Yes. Ukraine entered into the Energy Charter Treaty that resulted in overlapping membership. The Energy Charter Treaty and Ukrainian BITs with signatories and contracting parties of the Energy Charter Treaty continue to operate in parallel. Yes. The Law of Ukraine On Ratification of Convention on the Settlement of Investment Disputes between States and Nationals of Other States (No. 1547-III) was adopted on 16 March 2000. On 7 July 2000, the Convention on the Settlement of Investment Disputes between States and Nationals of Other States (ICSID Convention) 1965 entered into force for Ukraine. No. Ukraine is not a party to the Mauritius Convention. Ukraine has not yet adopted a comprehensive foreign investment promotion programme. improving efficiency and increasing transparency in the function of public-private partnership (concessions, joint activities, production sharing agreements). The Cabinet of Ministers of Ukraine also approved the Programme of Development of the Investment and Innovative Activity in Ukraine (Resolution of the Cabinet of Ministers of Ukraine dated 2 February 2011, No. 389). During 2017-18, further steps were taken to improve the investment climate and promote foreign investments in Ukraine. In particular, the Cabinet of Ministers of Ukraine approved Ukraine’s Export Strategy for 2017 to 2021, and established the intergovernmental working group on the preparation of proposals for solving systematic problems and establishing effective cooperation and dialogue with foreign investors to improve the investment climate in Ukraine. At the local level, many local state authorities and self-government authorities have adopted investment promotion programmes for specific regions or cities. the Law of Ukraine On Protection of Foreign Investments (No. 15401-XII, dated 10 September 1991). These laws provide for national treatment, protection from expropriation, free transfer of funds and other protections for foreign investments. the Law of Ukraine On Concessions (No. 997-XIV, 16 July 1999, as amended) etc. In addition, in response to the annexation of Crimea and the occupation of part of Donetsk and Lugansk regions in eastern Ukraine by Russia, Ukraine has adopted special legislation establishing the status of such territories and specifics of commercial activities for the period of their temporary occupation, which may be relevant for foreign investors. the Law of Ukraine On the Creation of the Free Economic Zone of the Crimea and the Peculiarities of Economic Activity at the Temporarily Occupied Territories of Ukraine (No. 1636-VII, dated 12 August 2014). With regard to the Donetsk and Lugansk regions, the following legislation applies: the Law of Ukraine On Peculiarities of the State Policy on Ensuring the State Sovereignty of Ukraine On the Temporarily Occupied Territories in Donetsk and Lugansk Regions (No. 2268-VIII, dated 18 January 2018). It is important that Ukraine does not recognise any powers, acts (decisions) and actions of any organs created on its occupied territory in contravention of Ukrainian law. They are considered void and not creating legally binding obligations. Ukraine declared that property rights in relation to any assets located on its occupied territory should be preserved. The occupying power shall be liable for the violations of human rights and freedoms, as well as harm caused to Ukraine on its occupied territory, in accordance with the rules and principles of international law. State registration of foreign investments in Ukraine is no longer required. The respective amendments were introduced by the Law of Ukraine On Amendments to Certain Legislative Acts of Ukraine On the Cancellation of the Obligation to Register Foreign Investments (No. 1390-VIII, dated 31 May 2016), which entered into force on 25 June 2016. The Ministry of Economic Development and Trade is responsible for the promotion of foreign investment in Ukraine. the National Investment Council of the President of Ukraine working under the auspices of the President of Ukraine (established under the Decree of the President of Ukraine No. 365/2016, dated 29 August 2016). On 21 March 2018, the Foreign Investments Promotion and Support Office was reorganised from the advisory body of the Cabinet of Ministers of Ukraine to become a state institution. In addition, in 2014, Ukraine has established the Business Ombudsman Council being an advisory body of the Cabinet of Ministers of Ukraine. The Department of International Disputes of the Ministry of Justice of Ukraine manages investment treaty arbitrations on behalf of the government. The Ministry of Justice represents Ukraine in investment treaty arbitration, according to the Decree of the President (No. 581/2002, dated 25 June 2002, as amended). Under the Order of the State Committee On Archives of Ukraine and the Ministry of Foreign Affairs on approval of the Regulations of the State Departmental Archive of the Ministry of Foreign Affairs of Ukraine (No. 59/78, dated 17 April 2006, as amended), materials created in the course of the activity of the Ministry of Foreign Affairs, including the originals of international treaties and materials related to them, are located in the State Departmental Archive of the Ministry of Foreign Affairs. It provides copies of documents for a fee. Pursuant to Ukrainian investment treaties, the investor may be an individual or legal entity. In respect of individuals, Ukrainian investment treaties normally define an ‘investor’ as a citizen or national of a contracting party. Permanent residents are not usually included in the definition of ‘investor’. However, under four BITs (with Azerbaijan, Canada, Israel and Kazakhstan), the ECT and Commonwealth of Independent States Treaty (CIS Treaty), protection is provided to citizens or nationals and permanent residents of a contracting party. the Bosnia and Herzegovina BIT requires that such entities have their registered seat, central office or main business activity in the territory of a contracting party. Most Ukrainian BITs contain no exclusion of certain assets from the definition of ‘investment’. However, the Canada BIT does not protect real estate or other property not acquired in the expectation or used for the purpose of economic benefit or other business purposes. The Israel BIT does not protect the operations of obtaining loans, credit facilities and reimbursable financial assistance by the investor. Most Ukrainian investment treaties explicitly require investments to be made in accordance with the contracting party’s laws. All Ukrainian investment treaties provide for protection against unlawful expropriation. In addition, 13 investment treaties expressly protect against direct as well as indirect expropriation (Brunei, Chile, Finland, France, Iran, Jordan, Kuwait, Lebanon, Netherlands, Poland, Turkey, United Arab Emirates and United States BITs). Half of the BITs expressly provide protection to investors owning shares in the expropriated company. Only the CIS Treaty and four Ukrainian BITs (with Armenia, Azerbaijan, Russia and Turkey) do not contain the fair and equitable treatment standard. While most investment treaties simply stipulate that each contracting party shall ensure fair and equitable treatment to investments, only the France BIT is more prescriptive. It stipulates that limits imposed on the purchase or transportation for production of raw materials or supporting materials, fuel and energy shall be considered as a breach of fair and equitable treatment. The formulation of the obligation to provide ‘protection and security’ in Ukrainian investment treaties is not uniform. Most investment treaties simply indicate that each contracting party shall grant ‘full protection and security’ to investments. Some provide for ‘full protection’ (eg, the Austria BIT), or ‘full and unconditional protection’ (eg, the CIS Treaty). Four Ukrainian BITs (Armenia, Azerbaijan, India and Turkey) do not provide for ‘protection and security’ as standard. Twenty-four Ukrainian investment treaties contain an umbrella clause (ECT, and the Albania, Austria, Azerbaijan, Denmark, Egypt, Finland, Germany, Japan, Jordan, Korea, Kuwait, Lebanon, Mongolia, Morocco, Netherlands, Panama, Singapore, Spain, Switzerland, United Kingdom, United States, Uzbekistan and Vietnam BITs). All Ukrainian BITs explicitly provide that the provision of most-favoured nation or national treatment does not extend to the benefits of membership of a customs union, monetary union or free trade area. In addition, all Ukrainian investment treaties contain a provision that requires the contracting parties to permit investors to freely transfer investments and investment returns. All BITs (except the United States BIT) provide for the right of the host state to subrogation. Most Ukrainian investment treaties provide a right of recourse to ICSID and an ad hoc tribunal constituted in accordance with the United Nations Commission on International Trade Law (UNCITRAL) Arbitration Rules. any other tribunal acting in accordance with any other arbitration rules as is mutually agreed by the parties (the Kuwait, Japan, Mongolia, United Arab Emirates, United Kingdom and United States BITs). The awards in investment arbitrations involving Ukraine are usually public. The only confidential awards are the awards in Remington Worldwide Limited v Ukraine and in JKX Oil & Gas, et al v Ukraine. The settlement agreements in Laskaridis Shipping v Ukraine and Western NIS Enterprise Fund v Ukraine are also not public. The recently rendered awards in ICSID cases Krederi Ltd v Ukraine and City-State NV, et al v Ukraine have also not been made public. On 20 December 2016, the Ukrainian Parliament adopted the Law of Ukraine On Ensuring the Large-Scale Expansion of the Export of Goods (Works, Services) of Ukrainian Origin through Insurance, Guaranteeing and Cheapening of Export Crediting No. 1792-VIII. According to this Law, the Cabinet of Ministers of Ukraine is empowered to institute the Export-Credit Agency that, among other functions, will provide insurance and reinsurance of direct investments from Ukraine limited to investments into the infrastructure required for the development of the export of goods, works and services of Ukrainian origin. According to the Resolution of Cabinet of Ministers of Ukraine No. 65, dated 7 February 2018, the Export-Credit Agency was established as a form of private joint-stock company. Law No. 1792-VIII does not contain specific rules on the contingency of the investment insurance on the availability of an investment treaty between the state and the host state (target of the investment). At the same time, according to this Law, the Export-Credit Agency shall be responsible for performance of functions, securing financial obligations and implementation of rights under the bilateral investment treaties of Ukraine and multilateral treaties. City-State NV, Praktyka Asset Management Company LLC, Crystal-Invest LLC and Prodiz LLC v Ukraine (ICSID Case No. ARB/14/9), award made on 26 July 2018. Ihor Boyko v Ukraine (PCA Case No. 2017-23 under UNCITRAL Arbitration Rules). Investment arbitrations involving Ukraine have concerned different industries such as the petrochemical industry (GEA Group Aktiengesellschaft v Ukraine), the sunflower oil industry (Western NIS Enterprise Fund v Ukraine), the printing industry (Tokios Tokeles v Ukraine), radio broadcasting (Joseph C Lemire v Ukraine), the poultry products industry (Global Trading Resource Corp and Globex International Inc v Ukraine), the oil-refining industry (JSC Tatnafta v Ukraine, Ministry of Land and Property of the Republic of Tatarstan v Ukraine), maritime operations (Inmaris Perestroika v Ukraine and Laskaridis Shipping Co v Ukraine), gas sector (JKX Oil & Gas, et al v Ukraine, Littop Enterprises Limited, et al v Ukraine), electricity (Remington Worldwide Limited v Ukraine and AMTO LLC v Ukraine). However, four investment arbitrations concerned the building industry, namely, hotel development projects (Alpha Projektholding GMBH v Ukraine and Bosh International v Ukraine), the construction of an office building (Generation Ukraine Inc v Ukraine), shipbuilding (Laskaridis Shipping Co v Ukraine), commercial development of property (Krederi Ltd v Ukraine). There are also other industries involved into the investment arbitration, such as banking sector (City-State NV, Praktyka Asset Management Company LLC, Crystal-Invest LLC and Prodiz LLC v Ukraine), air transport (Gilward Investments BV v Ukraine), aluminium production (Emergofin BV and Velbay Holdings Ltd v Ukraine) and confectionery (Ihor Boiko v Ukraine). Ukraine usually appoints arbitrators without using a default mechanism. The only arbitrators appointed several times are Jürgen Voss (Generation Ukraine Inc v Ukraine and Joseph C Lemire v Ukraine; both in additional facility and arbitration proceedings) and Brigitte Stern (GEA Group Aktiengesellschaft v Ukraine and City-State NV, Praktyka Asset Management Company LLC, Crystal-Invest LLC and Prodiz LLC v Ukraine). Ukraine usually defends itself with the help of the Ministry of Justice of Ukraine and external counsel (Ukrainian and international law firms), retained according to the special proceedings. Yes. The United Nations Convention on the Recognition and Enforcement of Foreign Arbitral Awards 1958 (New York Convention) came into force for Ukraine on 8 January 1961. The European Convention on International Commercial Arbitration entered into force for Ukraine on 18 March 1963. City-State NV, Praktyka Asset Management Company LLC, Crystal-Invest LLC and Prodiz LLC v Ukraine. The payments under the awards in first three cases were made by Ukraine only after completion of enforcement proceedings before the state courts in Ukraine. From publicly available information, the state voluntarily complied with the award in Joseph C Lemire v Ukraine (II). Ukraine attempted to set aside the arbitral awards rendered in JSC Tatnafta v Ukraine but the Paris Court of Appeal rejected its applications in November 2016. Currently, Ukraine is involved in several sets of pending enforcement proceeding in different jurisdictions. Ukraine also attempted to set aside the arbitral award rendered in JKX Oil & Gas, et al v Ukraine. The application of Ukraine submitted to the High Court of England and Wales was dismissed in October 2017. Information on the compliance by Ukraine with the arbitral award recently made in City-State NV, Praktyka Asset Management Company LLC, Crystal-Invest LLC and Prodiz LLC v Ukraine is not yet available. The awards in Alpha Projektholding v Ukraine, Inmaris Perestroika v Ukraine and Remington Worldwide Limited v Ukraine were successfully enforced in Ukrainian courts. Ukraine did not appeal against enforcement in these cases. Ukraine attempted to set aside the unfavourable awards in cases JSC Tatnafta v Ukraine and JKX Oil & Gas, et al v Ukraine (see question 29). Applications in both cases were dismissed. There are no specific provisions regulating the enforcement of investment arbitral awards in Ukraine. Therefore, enforcement is governed by the general provisions of Chapter IX of the Civil Procedure Code of Ukraine. Article 474 of the Civil Procedure Code prescribes that such enforcement shall be granted in the cases provided for by international treaties ratified by the Ukrainian Parliament (which includes the New York Convention) or, in the absence of such treaties, based on the principle of reciprocity. 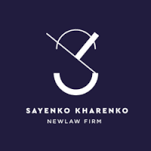 Grounds for the refusal of recognition and enforcement of arbitral awards contained in article 478 of the Civil Procedure Code of Ukraine are the same as those prescribed in the New York Convention. enforcement against such assets of a foreign state may be allowed only upon consent of the competent organs of the respective foreign state, unless otherwise is provided by international treaties of Ukraine or other Ukrainian laws. Ukraine has been undergoing a comprehensive judicial reform since 2 June 2016 when the new Law of Ukraine On Judiciary and Status of Judges was adopted by the Parliament. The major changes of this reform include adoption of the new procedural codes that entered into force on 15 December 2017 and substitution of the four-instance court system with the three-instance court system headed by the newly established Supreme Court. The Civil Procedure Code of Ukraine was supplemented with new separate chapters dealing specifically with setting aside and recognition and enforcement of arbitral awards. The Kyiv City Court of Appeal was granted an exclusive competence to consider all applications for recognition and enforcement of foreign arbitral awards in Ukraine. This amendment also means that decisions of the Kiev City Court of Appeal on either granting or refusing recognition and enforcement of a foreign arbitral award may now be challenged to the Supreme Court only. Previously, such an application could have been heard by courts of all instances. A specific time limit of two months was introduced for the consideration of an application for the recognition and enforcement of an arbitral award by the Kiev City Court of Appeal. Everest Estate LLC et al v Russian Federation, PCA Case No. 2015-36. Crucially, on 9 May 2018, the PCA issued a press release to the effect that in Everest Estate LLC et al v Russian Federation, PCA Case No. 2015-36, the arbitral tribunal rendered award on its merits on 2 May 2018. By this award, the arbitral tribunal granted the claim ruling that Russia is responsible for violating the rights of the Ukrainian investors. As with similar cases, Russia refused to participate in the proceedings indicating, inter alia, that ‘the [Ukraine-Russia BIT] cannot serve as a basis for composing an arbitral tribunal to settle [the claimants’ claims]’, and that it ‘does not recognise the jurisdiction of an international arbitral tribunal at the Permanent Court of Arbitration in settlement of [the claimants’ claims]’.